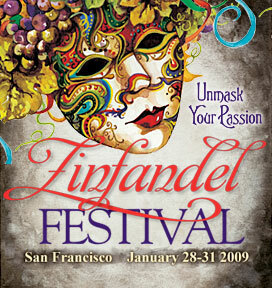 This year’s ZAP Zinfandel Festival I ran into a number of good wines. One of the interesting ones that I got to try (again actually) and get some back story is the Paso Creek Paso Robles Zinfandel 2006. While having a taste, I chatted to Susan Bergland, Public Relations Manager at Icon Estates a bit about their newer estate vineyard and winery. Paso Creek was born out of the realization that Zinfandel is continuing to grow at a rapid pace in the US wine market, particularly the higher-end bottles of wine that fall in the mid to high teens and above. While they could have bought land and vineyards in an area that is well established as a big Zin area such as Dry Creek Valley or the Sierra Foothills, they instead chose to pick an edgier area, where I imagine they, they rightly believe that they can make a bigger impact and really help to shape that region’s reputation for bold and well-made Zinfandel…and so they chose Paso Robles in the middle of California for this new endeavor. Alongside their Zin they also have a Cab and a Merlot, both of which I have yet to try, so I’ll focus on the Zin here. Alongside a sweet label with some great design, they have also put together a great website that includes a very informative video about the vineyard and property in Paso Robles. But as always, the focus is on the wine! I actually tasted this wine once prior to the festival while at my friend Heff’s house, just down the road. I found it to be rather well-balanced and was intrigued by the logo as well as the quality of fruit that I tasted in the wine. After three such tastings, including a sample that I received thanks to Susan that was decanted, I had a pretty good view of this wine. It features great restrained power and balance that is not always seen from this varietal. Good dusty yet bright red fruit is found in the nose, along with blueberry, bramble and pepper. The palate shows that great balance that inludes good structure of tannin and acidity (great for food! ), some toasty oak that is still integrating and a good length of finish with pepper and black cherry in the mix. After a fair amount of air, a more richer blueberry comes into play, proving that this wine could handle a few years of aging. You can find this wine and the others offered by Paso Creek at BevMo, Kroger, HEB, Food Lion or through their online store at Hartwick & Grove. I think you’ll find the Zin to be a tasty quaffer. Here are all the wines currently offered by Paso Creek. If you’ve had one of their wines, please leave me a comment and let me know what you thought. Enjoy! WineLog Blog » Blog Archive » Icon Tax Time!